In a move that is divisive, at best, Lionsgate is reportedly seeking to alter their plan for The Divergent Series of films, by moving the franchise to television. In a new approach, the story would wrap up with a TV movie, and segue into a spinoff episodic drama series. The change in planning is in response to the lower than expected box office performance of the third franchise instalment, The Divergent Series: Allegiant, as well as diminishing returns in terms of critical response for the entire series. The story is set in a dystopian world, where people are essentially destined to be part of distinct factions based upon their personal virtues. 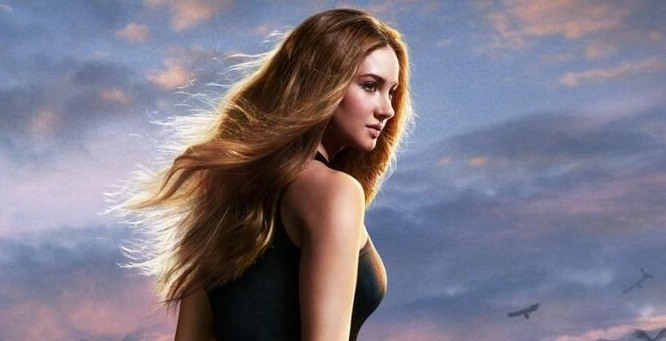 The lead character is Tris Prior, who discovers that she is Divergent, and that a conspiracy exists to destroy all those that share that label. Adapted from the Young Adult fiction novel series by author Veronica Roth, The Divergent Series arrived on the big screen in 2014, clearly riding the tidal wave of success created in 2012 by Young Adult fiction adaptation The Hunger Games. The Maze Runner also arrived in 2014, riding the same wave. Divergent was a box office success, bringing in $289 million in worldwide till receipts. The second franchise instalment, The Divergent Series: Insurgent, fared even better – bringing in $297 million, despite less favorable reviews. However, the most recent film from the series – The Divergent Series: Allegiant – suffered a catastrophic mishap upon release, and generated only $179 million in global ticket sales. There are a number of theories as to why the third film of The Divergent Series stumbled so spectacularly. Lionsgate itself has been heard to confess that it rushed production and the release of the film – perhaps conceding a drop in quality. Loyal fans of the source material were rumoured to be disillusioned with the decision by the studio to split the final book of the series into two films – feeling that this was simply an attempt to make more money from audiences, while trying to make The Divergent Series a little too similar to The Hunger Games franchise. It has been speculated, too, that the failure of Allegiant is the clearest indication yet that the wave of Young-Adult-Dystopia success which began in 2012 has finally crashed to shore. Whatever the reason, the fact remains that Allegiant represents a significant loss of general interest in the franchise, and the studio is in the process of responding. While there have yet to be any deals struck, it seems that Lionsgate Television is anticipating the relocation of The Divergent Series onto the small screen – with the storylines of current characters wrapped up in a TV movie, and the action passed to a new cast, who would continue into a dramatic series. The prospect of The Divergent Series being re-formatted in this way has inevitably drawn criticism from the core fanbase – which argues that moving the franchise from the big screen to the small screen is a betrayal to those that made the first two films such huge successes. The nature of television broadcasts means that many fans around the world will be unable to access it through that medium for some time. In addition, at a time when gender equality in film is a particularly hot topic, the apparent ease with Lionsgate feels able to switch tracks on its female-led franchise has not gone unnoticed. Perhaps, though, it is best to concede that the days of young, attractive white people leading fights against oppressive systems in a dystopian future are over in cinemas – at least for the time being. The Divergent Series will likely find its audience again on the small screen, and make lots of money for whichever network or streaming channel picks it up. The ongoing series – if successful – might even give room to some new talent, which would be of benefit to us all. Stranger things have happened.